5. Project Zero - Bringing People Together!? Nintendo made a series of commercials a while ago, themed around Wii bringing people together9. Our discussion of the Haunted House Mode made me think that Project Zero could also serve to bring people together. 9 This series of television commercials was aired in Japan over the New Year period in 2010/11. The main slogan translated as “Wii - When You’re Together”. Ah, you’re right! (laughs) Everyone can have fun playing Project Zero 2: Wii Edition together. In the Haunted House Mode, you can have fun by meddling in another player’s game. Player 2 can use their Wii Remote to make noises, make Player 1’s Wii Remote rumble, or cause ghosts to appear. So, someone other than the player can act as the manager of the Haunted House, which is a lot of fun. Yes, bystanders aren’t just watching how the player is playing, they can take part in the game. I think that we’ve created a new type of horror game, where you can enjoy interactions with others. In horror games up to now, there has always been a sense of satisfaction coming from the player reacting with shock and surprise to the elements that the creator has expertly put in the game. But with this title, the Haunted House Mode and the use of Player 2’s Wii Remote mean that players can make ad lib additions to the content the creators have included. This adds a whole new dimension to the enjoyment of the game. Normally, when you are building on preceding titles in a series, the game system and story become more elaborate. But creating a new title in collaboration with Nintendo means that we’ve had to completely clear away all of our preconceived notions, in the process of which, we have discovered new ways to enjoy horror games. So you might have a firm idea that this is the only way a certain thing should be done, but you were able to hit upon other ways to do it, which could make it even more enjoyable to play. But with the Haunted House Mode, we had to completely remake it about five times before we hit upon the right way to do it. It wasn’t something that just emerged fully-formed one day. We spent a long time working on it day-in and day-out with Nintendo before finally arriving at the finished product. Something that has occurred to me during the course of this discussion is how you have worked on Project Zero titles for ten years now, and how during that time, you have had to struggle so that your way of doing things doesn’t become narrower as you get deeper into the series. But I think this title marks a kind of turning point. An existing title has been reborn with a new interface, and new ideas. The kind of experience it gives players is something that can be built on in the future, I feel. I think there are a number of factors behind the decrease in the number of horror games in recent years. 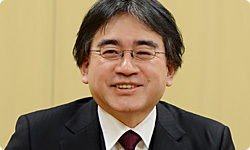 And I think that as you say, Iwata-san, it’s important to combat this decline by taking on new challenges from time to time. It is of course very important to value existing fans of the series, but at the same time, we need to strive to get more people playing horror games. I think that this title gives players an opportunity to enter the world of Project Zero via the Haunted House Mode, and then make them want to try the Story Mode. With luck, before they know it, they will be fully absorbed in the game. Yes, I think that’s right. I really hope the Haunted House Mode acts as a way of getting players into the game. Finally, can I ask each of you to say a few words to the readers, both to long-term fans of the series, and to people who have never played the games. 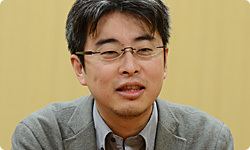 Let’s start with you, Shibata-san. 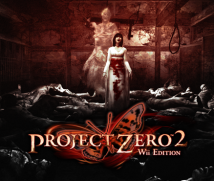 Project Zero 2: Wii Edition has so many new elements that I think it can be described as a new title. We have reassessed every part of the game so that players who enjoyed the original will get even more out of this one. I think we have created a title that combines the very best and most innovative elements in the Project Zero series. For those players who have yet to experience a Project Zero title, we have included all-new elements that let you get straight into the action. There’s a whole variety of scenes to enjoy, whether playing alone, or with others. I would urge you to give it a try and have fun! I would like players to appreciate that fine line that lies between fear and laughter. Now, over to you, Kikuchi-san. Firstly, I would like to say something to fans of the series. Even now, nine years after Crimson Butterfly was released, it is still widely discussed on the internet, people still have great memories of the game, and it is well-loved. This makes me very happy indeed. I really think it is. But when we look back on the game from the vantage point of the present, we see a lot of things that we didn’t manage to achieve at the time. That’s why we have made the game again with the aid of the latest advances in technology and design, all the know-how accrued over the last decade, and the cooperation of Nintendo. 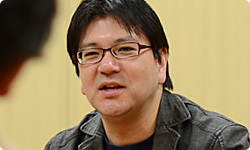 I am confident that people who have played the game before will enjoy it, and get a fresh, new impression of it. This is a title I want people to really enjoy this summer. And what would you say to people who have yet to experience a Project Zero title? If you know a fan of the series, or someone you know buys this title, please give the Haunted House Mode a try. If you enjoy it, then give the main story a go. If you enjoy movies or action games, I am sure the story will resonate with you. We have made a lot of effort to include a tutorial guide that will ease you into the game world if you are a beginner. I’m confident that this is a title that everyone will be able to get a lot of satisfaction out of. This game represents the culmination of the work that has gone into the Project Zero series, a compendium of all the elements that have been honed over the years with an attention to detail that borders on obsessive. I am really keen for as many players as possible to experience this title. Thank you both very much for joining me today.